Tony Brooks took victory at the Italian Grand Prix, his third in six races, but Mike Hawthorn's second place meant he left Monza needing only to finish in the points in the season finale in Morocco to secure the title. 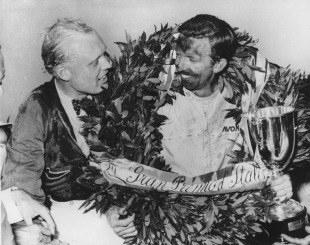 After Luigi Musso and Peter Collins' deaths in the previous three races, Ferrari had promoted Phil Hill to partner Hawthorn, and while all eyes were on Hawthorn and his main challenger Stirling Moss, Hill stole a march to take the lead. On the eventful opening lap Harry Schell and Wolfgang von Trips collided and turned over, while Jack Brabham and Olivier Gendebien had a less spectacular but equally race-ending prang. Moss and Hawthorn swapped the lead several times, but on the 18th lap Moss was forced to quit with a broken gear box. That meant a Hawthorn win would secure the championship, and his chances were further boosted when Stuart Lewis-Evans' Vanwall also expired. 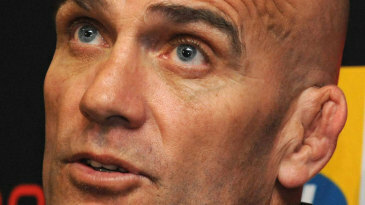 Brooks knew the only way to keep his team-mate in the hunt was to ensure Hawthorn did not win, and so he gambled on not changing tyres and set off after the Ferrari which was increasingly being troubled by faulty clutch. 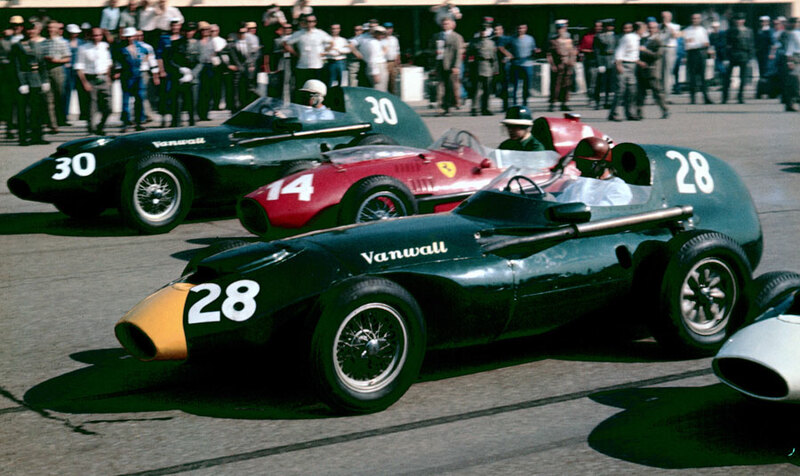 On the 61st lap Brooks' Vanwall took the lead, and then Hawthorn had to use all his skill to fight off Hill who was chasing hard and had set a new lap record. The following night at a local hotel all the leading drivers gathered for a dinner at which Juan Manuel Fangio confirmed what they all knew - he was retiring. "Only time will tell if my sporting achievements will be remembered," he said. "What I will remember most is the friends I have made, and those I have lost."